The portal shows the distribution of marine Wales’ Marine Evidence Report (WMER) and provides an overview of the status, use and potential future of our marine natural resources. The WMER will inform the drafting of the first marine plan for Wales – the Welsh National Marine Plan (WNMP). What is the approach to marine planning in Wales? What are the key issues to be addressed through marine planning in Wales? The purpose of marine planning under the Marine and Coastal Access Act 2009 (MCAA) is to help achieve sustainable development of the marine area. Sustainable development is the central organising principle of the Welsh Government and is enshrined in the Government of Wales Act 2006. UK Administrations published the UK Marine Policy Statement (MPS) in March 2011 as part of a new system of marine planning being introduced across UK seas. The MPS will ensure an appropriate and consistent approach to marine planning across UK waters with the purpose of achieving the sustainable development of our seas by guiding marine licensing and other decisions. In Wales, marine planning is being taken forward by the Welsh Government. Building on the Strategic Scoping Exercise (SSE), Wales’ Marine Evidence Report (WMER) provides an overview of the status, use and potential future of Welsh marine natural resources. 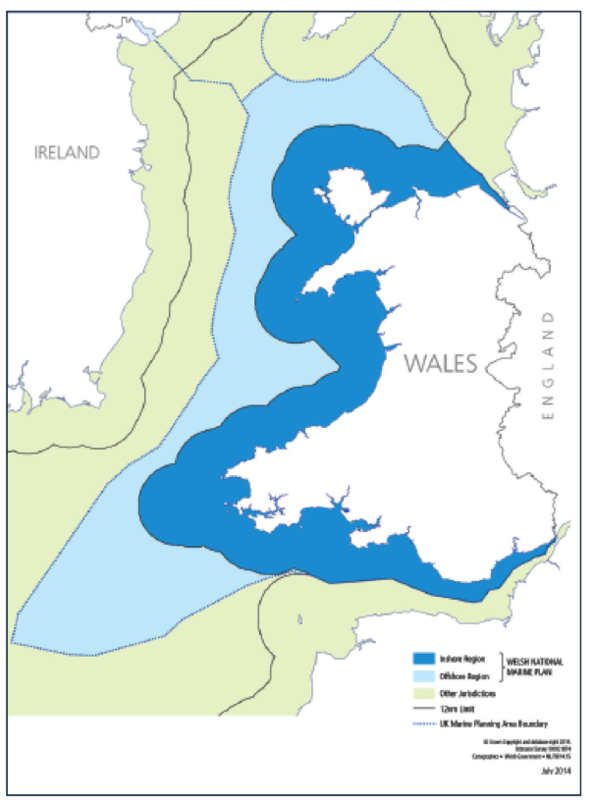 The WMER will inform the drafting of the first marine plan for Wales – the Welsh National Marine Plan (WNMP). The WMER was developed in collaboration with a wide range of partners including Natural Resources Wales and CEFAS and has been finalised following feedback from a wide range of stakeholders. The evidence base for marine planning will be maintained and updated as marine planning for Wales develops. The document provides a summary overview of the topics covered by the WMER and presents some of the key findings alongside maps showing our current understanding and use of our marine natural resources. It builds on earlier strategic scoping exercises and feedback obtained through consultation of stakeholders. Locally developed and delivered plans for coastal communities and infrastructure operators. This report applies to the marine area of Wales but may be of interest in terms of the approach to reviewing issues at a national scale.